Relax on the widest sandy beach in Denmark. Rømø offers a quite unique and exciting nature. Whether you visit Rømø in the bathing season or out of the summer season, you will have some wonderful experiences. The beaches on Rømø go as far as the eye can see and are perfect for relaxation and long walks. When you are on a holiday in a holiday home on Rømø, you can pick and choose among a lot of different, scenic areas. Toftum is right north of the dyke and the surroundings are beautiful heather areas. In the cozy holiday home resort of Bolilmark, right south of the dyke, you are surrounded by heather and moor. Kongsmark is at the middle of the east coast of Rømø and the nature is full of pines and a lot of pathways. A little south of Kongsmark you find the holiday home resort of Østerhede with dunes and heather and an impressive life of birds. In Havneby on the east coast of Rømø you can enjoy the maritime atmosphere on the harbor. Vesterhede is situated at the southern part of Rømø and is surrounded by woods, dunes and heather. There are only gravel roads and most of the houses are thatched. On the Sydøen you also find thatched houses, lovely beaches, a beautiful nature and dykes. Lakolk on the west coast of Rømø has the oldest holiday home area of the island and the long, wide and sandy beach with dunes just calls for a swim and any kind of activities on the beach. 5560 guests have granted an average assessment of 4,55 out of 5 possible stars. The dog is part of the family and of course it should be with you on the holiday on Rømø. Bringing the dog along for a holiday in a holiday home means a lot of advantages for you. You will have no costs for a dog boarding, and the dog will just love to be with you during your stay in a holiday home. 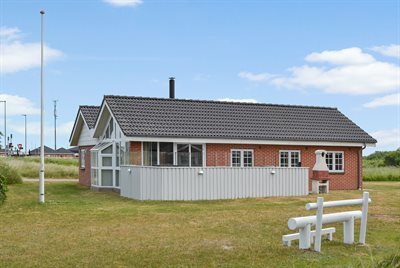 The range of holiday homes on Rømø, where you can take the dog with you, is wide. A lot of the holiday homes have fenced sites or a closed terrace, so your dog can just relax together with you and doesn’t have to be on a string and you don’t have to keep an eye on it all the time. A lot of the holiday homes are right in the middle of the nature and thus there is a lot of opportunities for taking a long walk with the dog. This is a fantastic experience for the dog as well as for the owner to take a long walk on the wide beach of Rømø in the fresh sea air. In general, dogs have to be on a leash all over Rømø, but there are exceptions. If you spend your holiday in a holiday home with your dog in the winter season, you are allowed to let the dog run free on the beach. Dogs can be on the beach without a leash from 1 October till 31 March. Most dogs love the wide open on the beach and enjoy running about and play and be free. If you rent a holiday home on Rømø in the summer, you still have the possibility of letting your dog run free. You can go to one of the three off-leash parks on Rømø, where the dogs can run free all year round. Behind the dunes at Lakolk beach you find a fenced-in area for dogs; however, there are no woods. In Kirkeby Plantage you can use an approx. 3 ha fenced-in park with a nice system of pathways. You could also visit the fenced-in dog park in Vråby Plantage, a fenced-in area of about 1,5 ha. There are lots of possibilities of getting out and experience the nature on Rømø when your dog is with you in the holiday home. 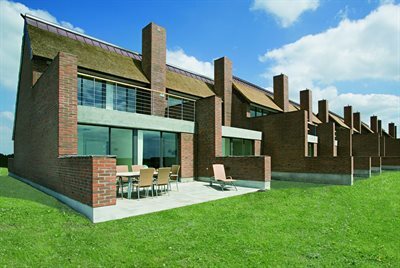 If you want some extra pampering during the holiday, there is a lot of beautiful luxury holiday homes on Rømø. If you rent a luxury holiday home, you can relax in a totally different way than you do at home. A luxury holiday home is normally big and spacious and decorated in a modern way with a lot of equipment, so you will have everything you could desire during your holiday on Rømø. You might rent a luxury holiday home with an outdoor whirlpool, which means that you can relax from everyday stress in warm bubbles and enjoy a glass of wine while looking over the sea or the nature. Wellness and pampering could also be taking a break in the sauna or a luxury holiday home with a pool. Families with children can find pleasure in renting a holiday home with a pool, so the children can spend hours and hours playing and having fun in the pool. 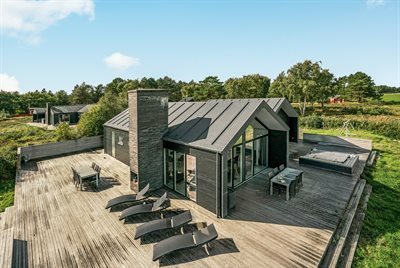 If you love to go for a swim in the morning, a luxury holiday home with a pool is the right way to pamper yourselves in your holiday on Rømø. For the big family with many children or friends to live together in a holiday home, it is a good idea to rent a luxury holiday home with an activity room, where you can relax playing table football after a long day on the beach or you can have a nice time together playing Ping-Pong, darts or billiards on a rainy day. 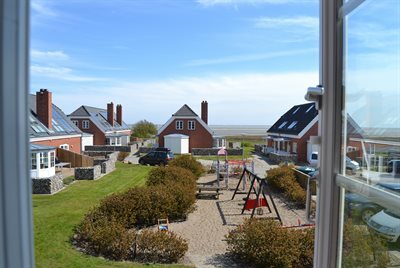 A good alternative to a luxury holiday home is a holiday flat in Enjoy Resorts Rømø, where you have access to all the luxury you want. Here you can rent a bright and modern private flat. You can relax in quiet and beautiful surroundings in the big, luxury wellness section, quality assured by Visit Denmark. Focus will be on your well-being in the wellness section, where you can choose among various kinds of saunas, steam baths and massage and hot and cold pools. There is also an offer for various kinds of wellness treatments, such as facial treatments, manicure and Detox treatments. You may use a big relaxation area with loungers. 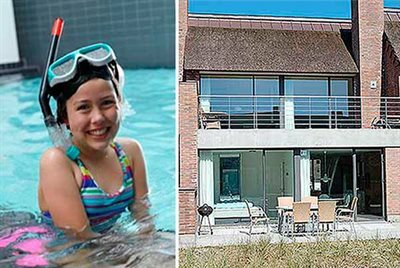 If you rent a holiday flat in Enjoy Resorts Rømø you will have free access to a swimming pool, a children’s pool and a whirlpool. You could also use the activity room on the site, which in particular families with children will enjoy. Here you can have a good time with a playing ground, pool tables, television lounge, slot machines and bowling. The holiday flats offer extra luxury to golfers, as they are positioned right next to the golf club, so there is not far to go for playing golf on the 18 hole links course facing the North Sea. In a holiday flat you can enjoy wellness and luxury with or without children. Families with children will love spending the holiday in Feriecenter RIM Rømø in Havneby. Here you will find entertainment and amusement for the children and relaxation for their parents. 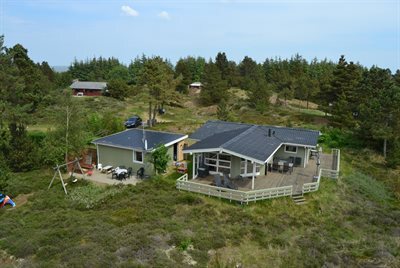 With a holiday flat in Feriecenter RIM Rømø you can have a cheaper holiday in Rømø without compromising on the quality. The private holiday flats are individually decorated and in two levels. A holiday flat offers free access to indoor as well as outdoor pools, where the entire family can have a good time. A pool means hours and hours of fun and entertainment for small as well as elder children, and when they have had enough of the pool, they can continue on the playgrounds and in playrooms. The conditions for families with children are good at Feriecenter RIM Rømø, where there is a lot of possibilities of activities and playing for children of any age. Feriecenter RIM Rømø is situated close to the popular Rømø Lege og Labyrintpark, offering fun and challenges to everybody in the family. The holiday flats of Sol og Strand Feriehusudlejning are all at a walking distance from the golf course on Rømø. Rømø Golf Links is situated, just like the traditional Scottish links courts, integrated in nature and following the heather and dune landscape of Rømø. The Wadden Sea and the North Sea are just a stone’s throw from the golf court behind a dyke. Since the golf court is on a flat, dammed-up seabed, you have a view of the entire court. At the tees at holes 6 and 14 you even have a wonderful view of the Wadden Sea and the North Sea. The 18 hole links course consists of undulating greens, lakes and streams. As it is always the case by the North Sea, the wind force sets the level of difficulty of the course. 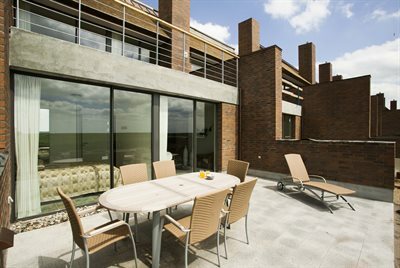 Golfing enthusiasts can have a splendid holiday on Rømø, where days on the course can end on the terrace of the holiday home or in the holiday flat with good food and relaxation. The wide, sandy beach and the nice little towns on Rømø could be a good alternative to the days on the golf course. Golfers with some experience or newcomers that would like to learn the game during the holiday in a holiday home, can use the 9 hole course of Rømø Golfklubs Pay & Play. 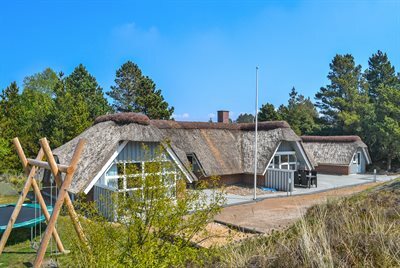 When you stay in a holiday home on Rømø, you are in the centre of Nationalpark Vadehavet, and you can enjoy an untouched and genuine nature with big heather hills and flat dunes with a rich animal life. Rømø is one of the Danish Wadden Sea islands, where millions of birds gather every year because of the natural pantry. At the coasts of Rømø you could be lucky enough to see seals and it could be an interesting event to go on a seal safari. On a seal safari you go out from Havneby together with a nature guide, who will tell you about life in the Wadden Sea. You can touch starfish, crabs and other animals living on the seabed. The seal safari also passes the sand banks, where the seals are sunbathing. You could even be lucky enough to see a seal swimming in the sea, as the curious animal likes to explore its surroundings. If you want to experience something quite unique for Rømø in your holiday, look into the history of Rømø by visiting Nationalmuseets Kommandørgård. The big, old family farm witnesses the wealth that the captains made on maritime trade and whaling. The farm is decorated with the interior of that time, which i.a. comprises the very best from the time within joinery and cuttings and beautiful tiles imported from the Netherlands. Naturcenter Tønnisgård has been established in another, beautiful old, captain’s farm. Here you can see an exhibition about nature in the Wadden Sea, the North Sea and Rømø. Naturcenteret arranges various activities and offers a series of exciting guided tours all year round that make you learn about birds, mushrooms, botany, bunkers and oysters. You can buy coffee, tea and ice-cream in a small café. 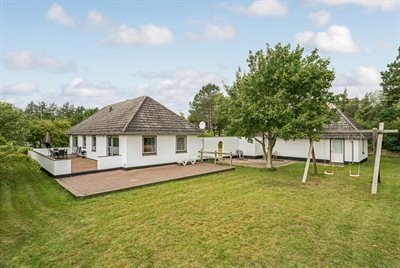 LEGOLAND is not far away, if you have rented a holiday home or a holiday flat on Rømø, you could take a day-trip to LEGOLAND, if you rent a holiday home or a holiday flat through Sol og Strand Feriehusudlejning, and have a 25% discount on the entrance.